The Shalom Hartman Institute Department of Publications is one of the main channels through which Hartman scholarship is made available to the public. It is responsible for the publication of books, journals, and newsletters. Hartman's Department of Publications utilizes print, editorial, and video channels to distribute ideas far beyond the walls of academia. View the Publications main page to access all of our books, journals, educational materials, video series, and more. 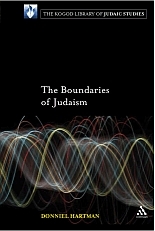 The department publishes books by Hartman Institute scholars in Hebrew and in English as the Kogod Library of Judaic Studies. 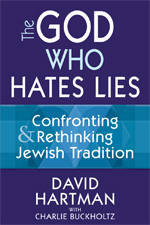 The Department also maintains a catalogue of titles by Shalom Hartman Institute Founder, Rabbi Prof. David Hartman (z"l). The Hartman video lecture series brings the excellence of Hartman scholarship directly to local study groups, by providing rabbis and educational leaders with curricula relevant to contemporary challenges. Thousands of congregants across North America have benefited from Hartman's video lecture series, all which draw upon cutting-edge scholarship to address critical questions of our time. Purchase video lecture series online. Dvarim Ahadim, a Hebrew digital publication, showcases the scholarship of SHI Fellows and visiting scholars. It draws the attention of the Israeli public and media by engaging the public in a dialogue relevant to contemporary Israeli society. 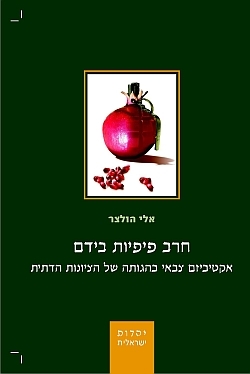 Reshit, an online peer-reviewed academic journal published annually in Hebrew, examined all aspects of Jewish culture, from the Bible to contemporary Israeli Judaism and social issues In Israel. It was published in 2009-2010. Darsheni, aimed to enhance pluralistic Jewish discourse and inquiry. The journal of opinion targeted a broad Israeli audience. It was published in 2010-2011. Havruta - A Journal of Jewish Conversation, translated the work of Institute scholars into accessible language. It was published in 2008-2011.